Bridges and culverts are immensely important and allow safe passage where it was not possible or much more difficult. It facilitates development and maintenance of a secure and integrated transport system, quality work and reduces expensive erosion and structural damage of the environment. 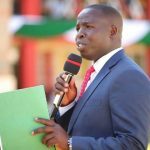 The department of Transport and Infrastructure embarked on constructing, putting up bridges and culverts at all entry or access points that were dilapidated in the county. 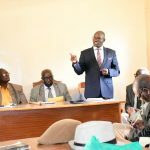 Completion of this work is a huge relief to residents who have in the past complained of difficulty crossing rivers, observing that some people and livestock had even drowned while trying to cross it. 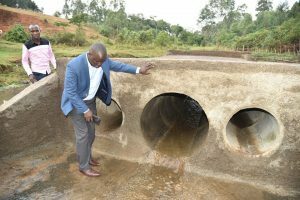 Furthermore, the culverts have cushioned farmers from losses occasioned by the heavy rains that cause overflows into their farms. The rains cause soil erosion and washes away manure and natural minerals which boosts crop production. The overflows not only ruin the crops but also inhibit movement in the farms.The department is an enabler of the Big Four agenda and with good infrastructure, it will ease supply of drugs to health facilities in good time, farm produce will get to the markets promptly and proper movement of people and transport of goods from one point to the other. 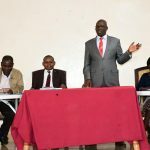 Moreover, the bridges and culverts will enhance the county’s position as a trading hub by making it easier for businesses to expand their operations The county government of Nandi envisions that by 2022, no farmer in Nandi will be unable to deliver his/her farm produce because of the impassable roads and bridges. 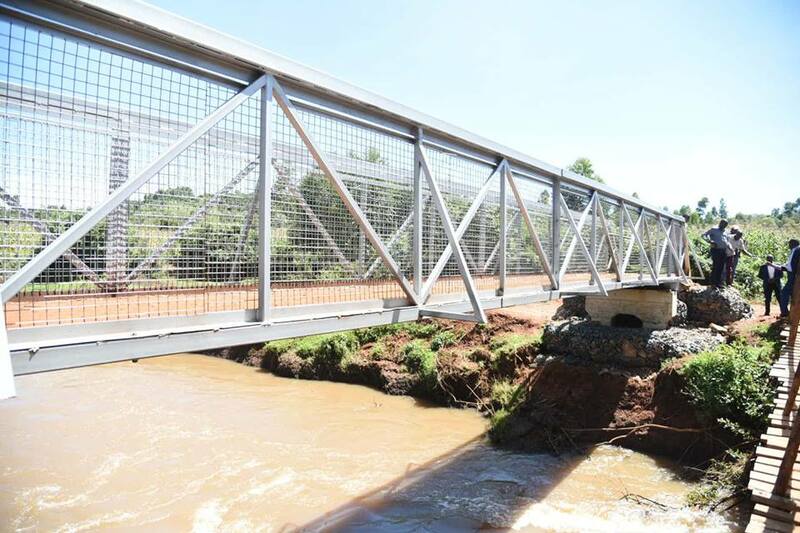 Among the bridges, box culverts and line culverts beings installed include Cheptuiyet Culvert, Kaptalian, Chepketei, Chepkumia, Panama, Kabutie Primary, Show ground Kamobo, Chemaner, Kapkemich, Kiropket, Tironin, Mogong, Katanin Footbridge, Magoi footbridge, Eisero foot bridge, Kimwani box culvert, Chemong Bridge, Chemwanabei Bridge,With their completion, Nandi residents are a step closer to hazard­-free farming, smoother movement and faster navigation during wet seasons.